The McClellan Oscillator is a market breadth indicator based upon the smoothed difference between the number of advancing and declining issues on the index or ETF. 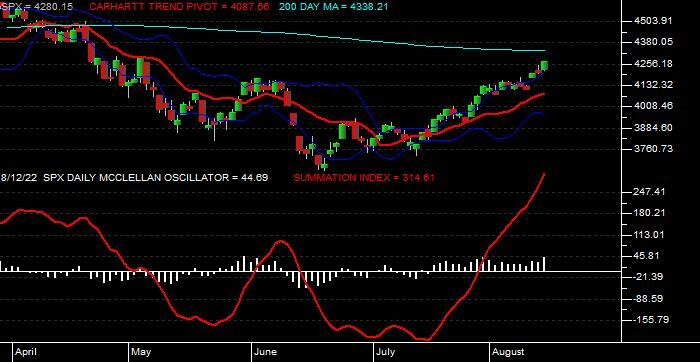 The McClellan Summation Index is a market breath indicator based on an accumulation of the McClellan Oscillator (see description immediately above). The McClellan Summation Index is a long-term version of the McClellan Oscillator. Its interpretation is similar to that of the McClellan Oscillator except that it is more suited to major trend reversals.